Ben Lui is a magnificent mountain, particularly when the great Coire Gaothaich is filled with snow. The sides of the coire are formed by parallel NE ridges, and the more northern of these (Stob Garbh) is the classic ascent route from within the corrie via the track in Glen Cononish. A shorter route from the A85 in Glen Lochy ascends the NW ridge from where the splendour of this mountain cannot be appreciated. The SW ridge leads to the smaller and less inspiring Beinn a' Chleibh and the SSW ridge leads to a bealach at the head of Coire Laoigh from where you can descend down the Glen or ascend Ben Oss. 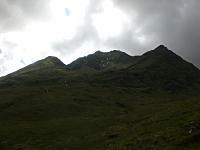 The approach to Ben Lui in July. Ben Lui seen from Meall Cuanail ascent enroute to Ben Cruachan. The summary information of one or more ascent routes that include Ben Lui. 1 1400 m 24.08 km 7.5 hrs Ben Lui and Beinn a' Chleibh This is the best route to Ben Lui the ascent from Coire Gaothach is steep but not difficult, however, Stob Garbh is difficult when there is ice on the tops. 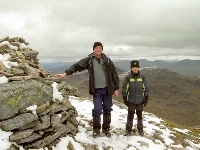 Calum H and me at the summit. 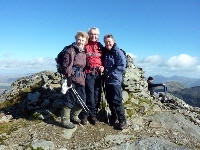 Elizabeth and Ruth support Ian on summit of Ben Lui. 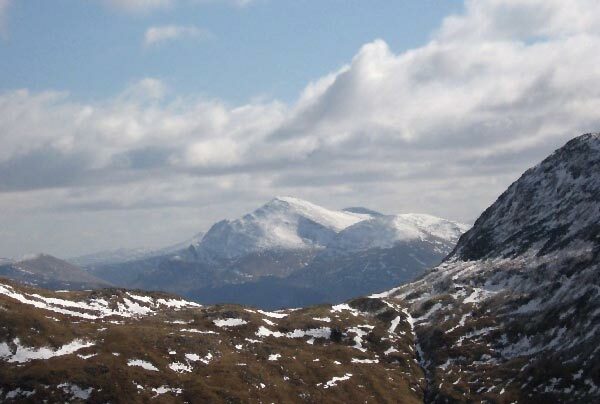 Post a few words about Ben Lui or read what others have had to say. Showing the most recent 5 of 17 comments. Would you like to view all 17? Approached from Cononish this is a splendid walk with a fine ascent via the NE ridge. Excellent views all round and an easy traverse to Beinn a' Chleibh. If you have employed the two car strategy you will have to descend into Fionn Choirein and the forest. In the forest particularly the terrain is very boggy with deep mud in many places and only a narrow passage through the trees which must be detoured at times or waist deep mud baths are the order of the day. The route may be easier in summer but will still be quite wet. Finally the river crossing may entail boots off and trousers up. Climbed Ben Lui via the central gully, a recommended winter scramble great for testing out ice axe and crampons. 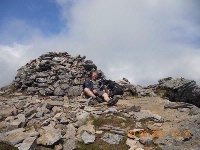 Climbed Ben Lui and Beinn a Chleib on a beautiful summers day July 06. 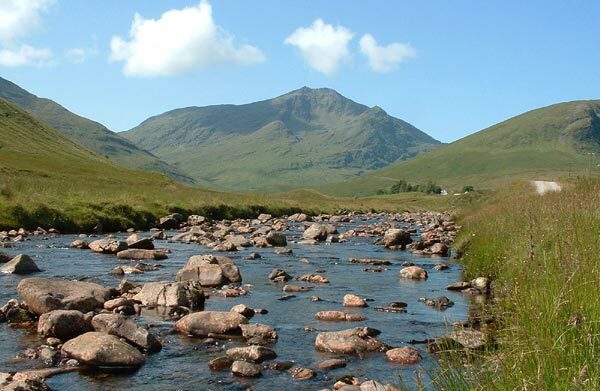 Starting from the A85 in Glen Lochy, this route gives a shorter ascent to these two hills. That is it's only quality. There is no easy way over the Eas Diamh ouflow, even in dry conditions,just get your boots off and get on with it! The path through the forrest is terrible. Really boggy and one of the worst l have encountered. When you make it to the open hillside, things improve. From the top of Ben Lui, the views are tremendous. A Fantastic vantage point to view the southern Highland mountains. 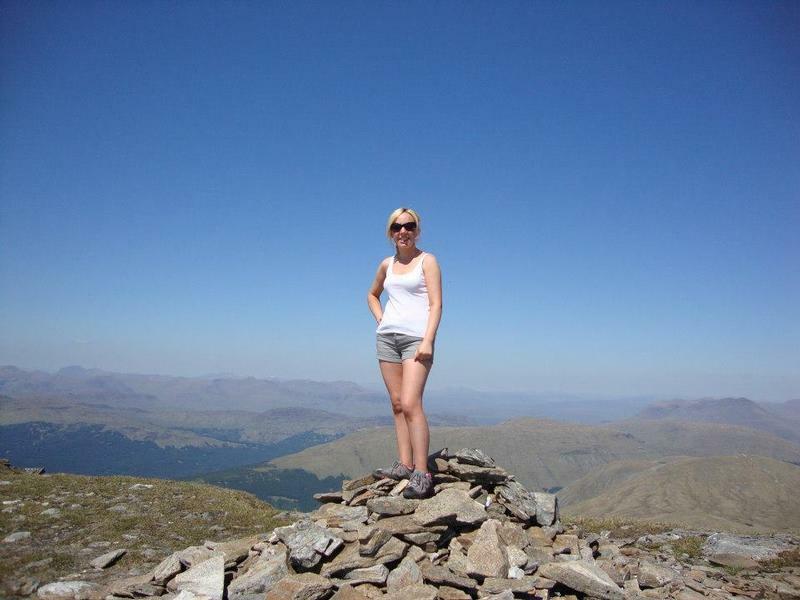 Stood atop Ben Lui a few years back in what could only be described as filthy 'summer' weather. Feb 18th however, couldn't have been further removed. Very cold, light wind, clear blue skies and the most stunning approach to a mountain you could wish for. With deep snow filling Coire Gaothach and heavily laden ridges running to the summit, Ben Lui has a Himalyan air to it. A wonderful day, though the ridge from Stob Garbh to the summit was a little dicey at times. Good job the trail had already been broken.